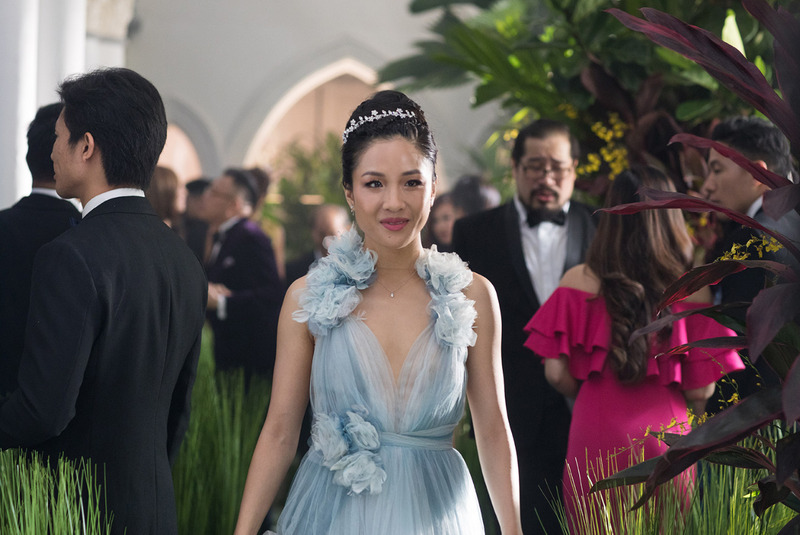 Crazy Rich Asians is the big screen adaptation of Kevin Kwan’s best selling book of the same name. 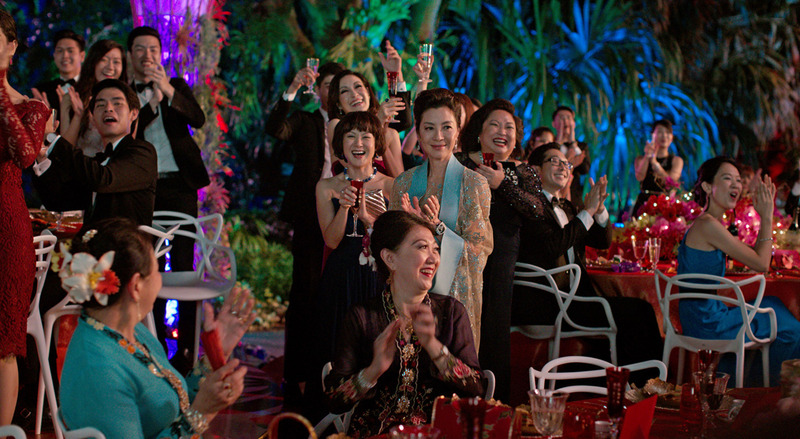 Crazy Rich Asians marks the first time in nearly 25 years that a studio film features Asian Americans in leading roles. 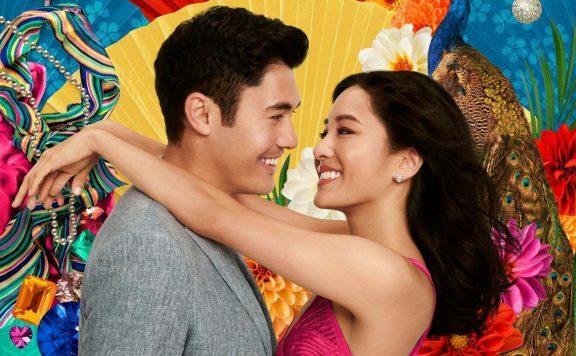 The film stars Constance Wu, Henry Golding, Awkwafina, Gemma Chan, and Michelle Yeoh. I recently had a chance to chat with the film’s director, Jon M. Chu about the film and what being part of this historical project meant to him as an artist. Scott Menzel: Hey, Jon, how are you? Jon M. Chu: I’m good. How are you? Scott Menzel: I’m good. You must be exhausted. I mean, you’ve been everywhere over the last couple of weeks. Jon M. Chu: It’s been a fun journey and very eye-opening. I literally cry every four hours. I don’t know if that’s from exhaustion or if that’s emotionally, but hearing everybody’s stories about it has made for a fun ride. Scott Menzel: Yeah, I saw you at the Junket on two Sundays ago. I was in the front row, and I asked a question about casting. Jon M. Chu: Okay. Yeah, yeah. Scott Menzel: So, I wanted to tell you personally that, I thought this film was phenomenal. Just all around terrific. I feel like I learned something when I watched this movie. I was entertained, I fell in love with these characters. I laughed. It’s just a well-rounded, great film, and one you should be so incredibly proud of it. Jon M. Chu: Thank you. Thank you. That means a lot. That really means a lot. I appreciate that. Scott Menzel: So, when did you first read the book, and what was your initial reaction when you were asked to direct this bad boy? Jon M. Chu: I was never asked to direct it, I forced them to let me direct it. The first time I read it was several years ago, my sister had emailed me, “Hey, you’ve got to read this book. It’s really funny.” I read it; I was in the middle of production. I needed an escape, and I read it really quickly, couldn’t put it down, and I thought it was hilarious and awesome, but didn’t really think much of it, because when you’re shooting a movie, you’re not thinking beyond that. Not until like a year later, finishing up that movie, and I wanted to find something that meant, where I could push myself. Find something that meant, where I could push myself. Find something, like what am I contributing to cinema other than franchise movies and making people money, like what am I actually adding anything new to this? I realized the one thing I wanted to do was, or I was reading all this, like whitewashed out stuff, and the Oscars is so white thing, and I realized that I am part of the Hollywood system, because I’ve been around for 10 years, and I wasn’t doing anything to help change that idol, and I was in a position to. I made a decision to go find a project that would be, deal with the one thing I was most scared to talk about, which is my own cultural identity. 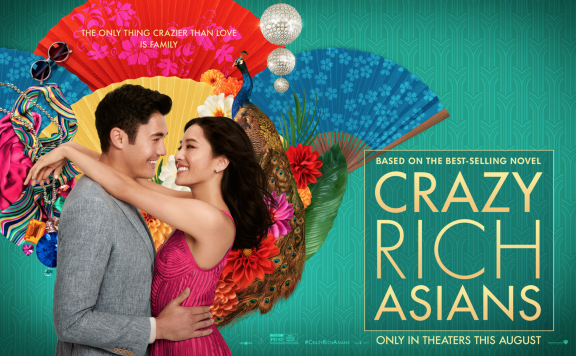 I read a lot of scripts, and then it came back to another email from my sister saying, “Why aren’t you doing Crazy Rich Asians? I don’t understand.” Because I had read other scripts and nothing spoke to me. I read scripts from China, scripts from here that didn’t speak to me. I reread the book and was totally taken over by it. Realizing, this is my story, as an Asian American, going to Asia for the first time, but not my story. All the rich stuff, I didn’t understand, but the idea that, to see Rachel, to go into Singapore, and dual cultural, dual identity struggle was something that I thought I was alone in and was really excited about facing it in a wonderful world. Scott Menzel: I really do believe you captured that. Yes, it is a fish out of water story in a lot of ways, but there’s so much rich culture in the film and so much depth to these characters and their stories. I don’t feel like there’s a weak link in the film which is quite an achievement considering how big this cast is. I feel like every role has a purpose, and every actor in that role nails it. Jon M. Chu: This cast is insane. I can’t emphasize enough, maybe my biggest lesson from this film is how important casting is. Being the first on the block with an all Asian cast, you get the pick of the litter. I had been tracking all these different actors from all different sources because we could pick them from all over. Oh, the guy from the Daily Show that did that amazing piece on Chinatown, what’s his name? Ronny Chieng? Okay. Write that down. Oh, my gosh. Jimmy O Yang is so good in Patriots Day, and he’s so good. That’s a crazy way to do two projects, write his name down. Nico Santos is so funny. I saw him open for somebody at a standup thing, he was so hilarious. What a different kind of Asian standup that I’d never seen before. Then, you start to piece this thing together, and when I read the book, I knew that there was this host of new generation of actors, not just Asian American actors, but Asian actors from all around the world that spoke this contemporary language of what I really love, and what I relate to most. I thought my journey as an Asian American, I was alone in that, but to see everyone else go through the same thing, and feel like they have to choose between being Asian or being whatever they’re from culturally, I thought it was such a fascinating thing. So, getting them to represent was the biggest thing, because they could do it truthfully and honestly, and I didn’t have to carve or change something to make this happen. This is purely from their own self, bringing themselves to the screen, of course, an exaggerated in certain ways, but that odyssey of where they came from and that had to come through. Scott Menzel: I agree, you look at everyone, and everyone is so different from the other person, and that’s what I’m saying about the casting. There is no weak link. There is no, “Oh, this person is kind of like this person or that guy is kind of like this guy.” Everyone is their own person, and that is so incredibly rare to see in a film when you have this many characters. Jon M. Chu: Yes, and they’re confident. I think that’s the one that surprised me most, is when I watched the movie back for the first time is this confidence of each of those characters that pierce through that screen, and they’re not apologetic for anything that they’re doing, I love that, because I hadn’t seen that before with these kinds of characters on the big screen. Scott Menzel: Yeah. We’re living in a time right now, which is weird, because when I think back to, say, the ’80s, where I feel like there was a lot of films that featured a lot of cultures in them but then, something happened around the mid-’90s to early 2000s, where that culture got lost again. Then, we’re seeing all these movies being made now, look at African American culture right now, I mean, this year they’ve had four amazing movies, and now you get to tell your story, and this beautiful depiction of culture and how it represents your people. 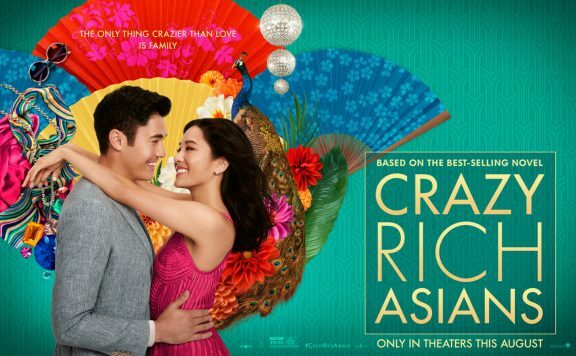 I was just wondering, do you feel like we’re going to keep seeing more and more films that will shine a light on Asian culture, and also bring to life more films and stories about under-represented voices? Jon M. Chu: I think we have no choice. I think the future of cinema depends on this. I think if you don’t just want super hero movies all week, which I love, by the way, movies have always been at the cutting edge of society, telling the stories that can’t be told in any other media. It’s always pushed. It’s always been the form of rebels and crazy people because that’s where you could be the cowboy and just tell your story, and use all these resources that communicate your story. It’s only recently that all our stories got softened and changed, because all the conglomerates are owning all these companies, and they’re public companies, and all this stuff, but movies are a place for rebels and trouble makers. For me, knowing that new perspectives and new stories have been there for all this time, is, A, in existence and in abundance, number two is, it’s good for business, and the corporations are starting to recognize that it’s good for business, and the audience gets to speak back for the first time since the existence of films to say what they want in real-time. Scott Menzel: This is so true, and I feel like we are seeing this more and more nowadays, and the floodgates have been opened, and we’re finally seeing this. Kind of going off that? Have you seen Searching yet? Jon M. Chu: No, I have not seen it. I want to see it so badly. Scott Menzel: It’s really incredible. John Cho does such an amazing job in that movie. I saw that at Sundance, and I saw John at the premiere, and he actually hugged me after the Q&A. He was crying and just hugging everyone. He was just so emotional. Jon M. Chu: Oh, my God. Scott Menzel: He said, “that’s my family on screen.” He’s like, “Someone who looks like me is represented.” It was so eye-opening to see him react like that. I happen to be the founder of a critic’s group, and I think it is so important to have this group because a lot of the members are the underrepresented voice. The big thing about the group is that we wanted it to not be about one person, but about all of us as a group. It’s so weird to see that because you always see stuff that’s black and white and you don’t even mean to. Like, as a white guy, to be like, “Oh, you’re right, there are over 300 movies every year featuring white people in leading roles.” But, hearing from the members and talking to various people, I’ve become more “woke” about this whole thing because I didn’t really notice it. Jon M. Chu: *laughs* By the way, me too. Me too. I’m in the same boat of thinking movies come in one way, and we’re like, “No, that’s movies are like this ” When you grew up watching movies, you believe what beauty is. You believe what they’re saying masculinity is. You believe all these things, and now with technology, you get broad, new voices in cinema, that are telling you, that are showing you the full picture, and you want that reflected in the big stage, which is movies, you want that. Netflix and all these other places are ahead of the game, because they’re doing it, and they’re providing what the audience already wants, almost in realtime, and the big studios are the ones that take a lot longer, maybe because they have to market, maybe it costs tens of millions of dollars to bet on, to get behind something, but with this movie, we hope that shows that you can do that, and that risk, there’s usually a big payoff for it. You shouldn’t look at a film, and say, “what group is this for?” We have to get out of that mindset of labeling others and films. “Oh, that’s a black movie.” or “Oh, that’s an Asian movie.” That really shouldn’t be how we judge or label films anymore. Jon M. Chu: Yeah. I agree. I agree, and those different perspectives should make you want to go see that movie and should compel you to go see that movie. Differences should be attractive in that way, not scare you away. Scott Menzel: I got so many questions an I didn’t even get through half of them. So, I’m going to have to pick one. Let’s talk about the soundtrack. It is an amazing soundtrack, how did you go about picking the music? Jon M. Chu: One of my friends sent me a couple of these old Asian songs from the ’60s, and I listened to them, and they were unlike anything I’d ever heard. They were like old, big band, musical songs. It just amazed me, and I did a deeper dive, and found a lot more, and then I brought them home with my mom, and I was like, “Did you guys have these songs?” I played it for her, and she knew every word to the song. I just wanted to reflect that in the music, and then combine that with my generation stuff, songs that came from romcoms and other recognizable things, and redo it with Chinese. Yeah, remixing everything so it felt like we were all one. My identity, growing up here with my parents speaking Chinese to me, but listening to pop music, and living in this all American world, and then going to China, and then experiencing that, and eating the food, I just wanted people to, I didn’t have to explain it, but this is just the way I grew up. And, if they saw the way I grew up, and they could emphasize with where we come from, and the struggle of trying to combine all of this stuff together in one cohesive way, and that it was okay that we weren’t alone in trying to figure that out. Scott Menzel: Well, that was an amazing answer. I wish I had more time to talk to you. You are an amazing person. I will continue to support you and your career. Jon M. Chu: Thank you. 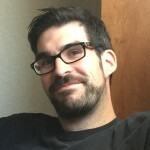 Scott Menzel: By the way, I am one of your fans who thinks that Jem and the Holograms was a good movie. I really don’t understand why people bash that one so much. Jon M. Chu: Thank you! I love that movie. It has a very special place in my heart, but you know what? It’s taught me and gave me thick skin. It taught me to ask, “Why are you doing this? 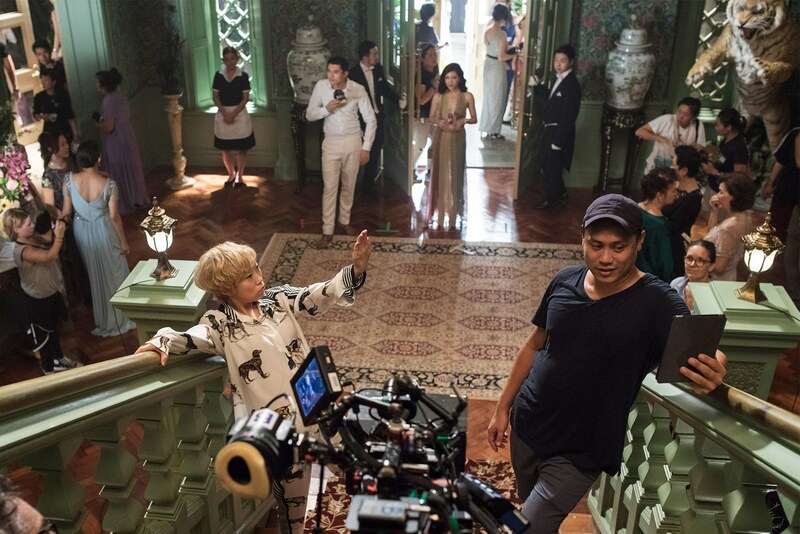 Are you doing it for the box office numbers?” No, I had to be okay with people not showing up, reviewers hating it, and still feeling proud of a movie, and knowing that those years I worked on it was still worth it, and that gave me the courage to go after Crazy Rich Asians, without Jem, there’s no Crazy Rich Asians. Scott Menzel: All right. Well, thank you so much. Very nice talking to you. Have a wonderful, hopefully, you get some real rest at some point after this weekend. Jon M. Chu: Thank you. Thank you. I hope so, too. Scott Menzel: All right. Take care.